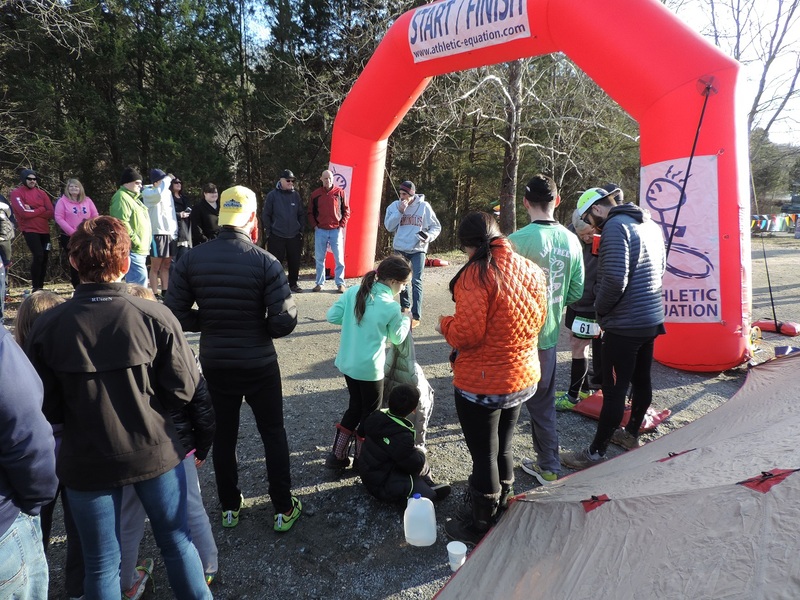 Athletic Equation continues with its ultra running paradigm shift with the “ICY-8” 8-HR Adventure Trail Run (ATR). Why is it named the “ICY 8”? Well simply put, it’s February…the weather can be unpredictable and sometimes cold. Staying consistent with our other events, runner will be able to run as MUCH AS THEY WANT. Our events are about the runners meeting their own expectations, not an events expectations, or the expectations of others. The ICY-8 will take place on the first Saturday in February every year. Starting time will be 7:15a.m. This event will be held at Lake Anna State Park (http://www.dcr.virginia.gov/state_parks/lak.shtml ) in Spotsylvania, VA. Lake Anna State Park is approximately 2,800 square acres and adjacent to Lake Anna, 13,000 acres large and 10 miles of Lake front real estate. Lake Anna has been part of the Virginia State Park System since its inception in 1936. Park Amenities throughout the year include camping, swimming, RV-ing, cabin rentals, boating, hiking, and horseback riding. It is conveniently located less than one hour driving from both Richmond, VA and Fredericksburg, VA and 25 minutes from Culpeper, VA. This run seeks to bring both new and experienced trail runners together onto a common course that will challenge both their trail skills and physical abilities. The run course will be looped course. Approximately 85%-90% of the course is trail. The remaining 10%-15%, approximately 0.4 miles is a mix of trail and closed payment roads. Trail is single-track and double-track (NOT fire road). Over 70% of the trails are double-track, meaning that it is ALL TRAIL but generally about 6-ft wide. This trail WILL RUN FAST, but has to potential to catch up with you as the race progresses. The Start/Finish will be centralized in the parking area next to the Lake Anna Visitor Center. Runners will have the opportunity to select from two course loops, either 4.7 miles (350ft of elevation gain/loss) or 8.0 miles (640ft of elevation gain/loss) during the event. Runners are able to run combine loops during the event to maximize mileage during the event. • Run as much as you feel like running. • Must have a means of Hydration (Hydration Pack or Water Bottle). • Runners MUST report the loop length (SHORT or LONG) to the “timekeepers”. • Last Lap must be completed before the 8-HRs are up! • Team members CAN NOT run consecutive loops. • Most importantly HAVE FUN. On-site: During the winter season, the campground at Lake Anna will not be open. There are cabins available for rent. These are HIGHLY LIMITED. They are located along the coastline of Lake Anna and are in an area of the park that is isolated from the Park’s activities. Each cabin sleep up 6 people: (1) One Queen bed, (2) Two full beds, and a pull out sofa-sleeper. General amenities include heat, A/C, toilets, showers, electric, linens, towels, stove, and full kitchens w/o cookware. Costs will range from $79 to $90+tax. Due to the current reservation system in place, reservations for the “ICY-8” is generally very limited. If you are interested in on-site lodging, please contact us via email @ AlexP@athletic-equation.com or visit Lake Anna State Park Website. • Once on Rte 606, drive about 9 miles to Post Oak. • Veer LEFT/Straight onto Rte 208, Courthouse Road. About 7miles. • Make a RIGHT on Rte. 601, Lawyers Rd. • Once in the Park, drive towards the Waterfront. • Take Exit #159, go North on Rte 522. • Stay on Rte 522 until you pass thru the town of Mineral. • About 3 to 4 miles after Mineral, you will turn RIGHT onto Rte 208 (New Bridge Rd.). • You will cross over Lake Anna. • About 3 miles after crossing Lake Anna, make a LEFT on Rte. 601, Lawyers Road). There will be a 50% refund if a request is made prior to 03 JAN. Runners also have the option to transfer their registration fee to another event. After 03 JAN, NO REFUNDS will be provided. Teams losing members prior to the event can pair up with other smaller teams or consult with the race directors on how they might be accommodated. Teams wanting to drop a runner and add a new runner to a Team, after the deadline, may do so. Please consult the race directors for additional information.